The idea of reviewing sheets made of micro fabrics to find the top choices was in the works since 2014, we didn’t have the expertise to know what to look for and how to rate the sheets. Once we solved the issue we started collecting data for this guide and first published it in September 2016, which means this guide has seen dozen updates so far update. Over time we broadened the scope and it now contains (spoiler alert) sections on best microfiber sheets, best micro flannel sheets and best micro or polar fleece sheets. We worked on getting an expert on board to help us with this guide as a side project and finally got one to join us about 10 months ago – in April ’16 and we are proud to have her on-board. Her name is a Norah E. and she holds a postgraduate degree in Textile / Clothing Technology from the University of Texas. Norah is currently employed as a Quality Control Manager and Textile Technologist with one of the biggest retail chain stores in the USA. Maximum Mattress Thickness: 15 '' 16 " 19"
*we’ve initially named the chain in this guide but we were asked to remove it since the opinion and ratings in this guide might be construed as theirs. So, to avoid legal problems, we removed the name. This is a lengthy, in depth guide, so you can use the links in the table of contents to navigate to the part that interests you. We still can’t figure out how SweetHome can offer their 1500 Premium collection at the price of a few Venti Mochas at Starbucks. We simply can’t. Until we got Norah on board, we thought that there’s something we’re not seeing or don’t understand. We get that they might be outsourcing and we get it that they might’ve found a way to get the quality microfiber cheaper, but with all that said and put to paper, in theory, we never could get as close to that price. But, instead of banging our heads against the wall about the HOWs and WHYs of it all, we got a set of the SweetHome 1500 for each member of our team and a few of our featured testers. Norah, our expert for this guide said that companies do that sometimes – make one series of products that they don’t make any money of just so that they can get their name out there and make money from you in the long run. She thinks that that’s what SweetHome is doing with the Premium 1500 collection. Whatever that’s right or not, we decided not to bang our head against the wall on this and we just got for each of the team member. The Premium 1500 is microfiber sheet set, it’s not cotton and should be reviewed and rated as such. If you don’t know, guessing that these sheets are a kind of polyester would be 1 in a million. The quality of a microfiber and its feel against a skin is determined by how fined brushed it is in the manufacturing process. In those terms, the Premium 1500 by SweetHome is the best rate set of double brushed microfiber sheets today. It feels super soft and is rated 91/100 in the material category. The Premium 1500 uses the finest double brushed fiber only 0.0007 inches thick and as such, the sheets feel thinner. All we’ll discuss later in the guide, the thread count is NOT an indication of how thick the sheets will be. If a finer fiber is used, more of it will be in one inch making for a higher thread count and higher quality sheets but a thinner feel. Once people realize this is not 100% cotton, they tend to make a fuss about the thread count being included in the name of the product and it being misleading. So, let’s put an end to that right here, the SweetHome Premium 1500 is in fact a 1500 thread count of fine micro fiber. The thread count rating 86/100. It’s the combo of the thin fiber and the high thread count that makes these sheets feel so soft against the skin. We considered 8 microfiber sheet sets for this guide and none of them felt as soft, including the Clara Clark 1800. 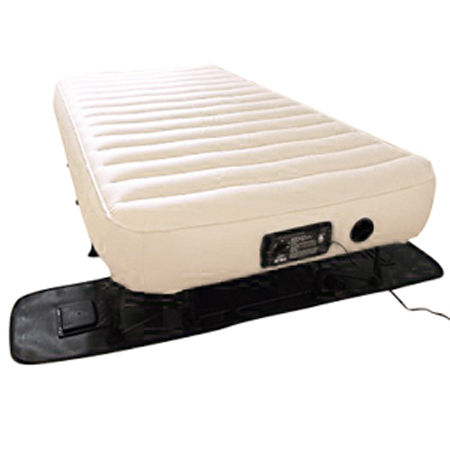 The SweetHome 1500 receives it’s highest ratings (second only to value for money) in the category of Comfort, rated at 89/100. No other double brushed microfiber sheets or any sheet in this price range has received more than 85 in Comfort. If you do get these in an intensive color (and they do have 43 color choices available), we recommend washing them without anything else in the washing machine at least a few times. We did so with the Purple and the Burgundy – we washed them on cold with a color catcher tissue and it took 3 times with the Burgundy and 6 times with the Purple for the color catcher tissue to come out clean. We didn’t notice any changes in the color, however, which indicates that the “issue” is with the extra coloring. This means that the sheets will not become a pale version of themselves in a few months. We agreed with Norah to have her on as a outside consultant for 5 years at least, which means we’ll probably have the most reliable info out there on sheets at least for the duration of her contract. We’re mentioning this because she is confident that no sheet set we’re going to be looking into in the future will surpass the value for money rating of the SweetHome Premium. We’ll no doubt review sheets with higher ratings in other quality categories, but we are not holding our breaths to finding a set that will provide better value for money. Bottom line Rated at 88/100 the at Best Microfiber Sheets – SweetHome 1500 Supreme collection. What we have here is pure value for money – the most inexpensive sheet set on the list coming from AmazonBasics. With fewer choices in colors (“only” 10) the AmazonBasics sheets is rated at a high 87, which means that it practically isn’t a runner up but stands shoulder to shoulder to the best microfiber sheet set, the SweetHome 1500. It’s the limitations of our rating system, the ratings are combined and the final decimal number is rounded to the nearest whole. The Sweethome set was rated at 87.4 and the AmazonBasics at 87.2 and that’s the reason why the list looks as it does. Why the second place then? AmazonBasics microfiber sheet set is made of imported, 100% polyester microfiber. It feels very soft to the skin, actually the subjective feeling is that these sheets feel the softest from any on the list. Even Norah (our fabrics consultant) said that she didn’t expect them to be that soft at that snug weave (see the ratings below). Since it’s not listed and we couldn’t find the information, we measured it ourselves at 95 GSM, which was kind of a surprise since they feel so soft we expected a lower number. With this high of a GSM, the AmazonBasics sheets deserve 86 for durability. We did say that these feel like the softest microfiber from all the sheet sets on the list but comfort doesn’t mean the same thing to everybody. It’s about the balance between the snug and full feeling of a sheet (lacking a better description) and the softness. The Sweethome set takes the cake here – comfort of the AmazonBasics set is rated at 86/100. This set holds dye better than the best set listed here and just as well as the Mellanni 1800 (which we’ll talk about in a minute). Two washed with the color catcher and it seemed safe to wash the Chocolate-colored version of the AmazonBasics with other laundry. As we said, this is the most inexpensive set on the list and has no significant faults that we could notice – a nice bounce for the ounce and 96 points. Final rating of the AmazonBasics sheets set – 87 out of a 100. At the time of this update to the guide on best microfiber this Mellanni bed sheets set was the best seller on Amazon in the category of Sheet & Pillowcase Sets. Our of the Mellanni 1800 fell just under that of the winner in the category and are sitting high at 87/100. Material used for the Mellanni sheets is brushed polyester. We know that sheets set made of polyester doesn’t sound that great but bushed polyester is what you actually know as microfiber and it can be just as soft as premium cotton for the fraction of the price. The microfiber used for the Mellanni sheets is very fine and has a GSM of 95 at a thread count of 1800 which makes the fibers thin and fine yet durable. To achieve a GSM of 95 with the thread count of 1800, as we mentioned, the microfibers have to be very thin and woven more tightly into the same inch squared. This makes for a durable yest, soft and comfortable material. Mellanni sheets ware tested using (again) the Burgundy set and it passed the test with flying colors. Three times of washing it with nothing in the machine but a color catcher and all the extra coloring seemed to be out. Priced just a few bucks more than the best set of sheets on the list, the Mellanni sheets set performs very close to the Sweethome collection, which brings its value for money to 93 points. Overall Rating for the Mellanni sheet set – 86/100. In this guide we set out to compare the two best microfiber sheet sets and the Clara Clark come just a bit short compared to the Sweethome 1500, rated at 85/100. The material used for the Clara Clark 1800 is finely brushed fiber (similar to that of the used for Sweethome 1500). I appears that the fiber is not that finely brushed and it’s not as soft to the skin as the Sweethome – hence the lower ratings of 84/100. With brushed or double brushed microfiber sheets you have to dig for reliable information on the thread count and we can’t say with 100% confidence that the number in the name of the collection represents thread count. Walmart lists them as “1800 thread count” yet in the specification under thread count specs they say “550 & up”. We measured the GSM to be about 100 which makes it thick and durable, but shaves some points off in comfort, because it doesn’t feel as soft as some of the other sets on this list. The Clara Clark 1800 Premier doesn’t feel as soft to the skin as the Sweethome. Comfort is, indeed, a subjective category so we rely mostly on the opinions of existing users. We found 3 existing users willing to “talk” to us about the comfort of the Clara Clark 1800 series. One of them rated it at full five stars and two of them at 4 stars. After consulting Norah on this we arrived at the Comfort rating of 87/100, just a tad lower than the best rated sheet sin the category. These hold a dye better than the winner of the category. It took us only 2 washings with a color catcher and the third washing resulted in a practically clean tissue catcher. We used the Burgundy Red for the experiment, so please, be aware that other colors might perform differently. Add the fact that we had trouble getting clear information on the thread count (or the equivalent) and the fact that they are not as soft and this brings the value for money rating down to 90/100. Bottom line – the set is inexpensive, but the top rated brushed microfiber sheets on the list were better rated and cost less. Since we have Norah here, we thought it was smart not to just present the best microfiber sheets but also the reasoning behind choosing the sets we choose and make sense of some of the confusion about what too look for in a good microfiber sheet. Microfiber sheet are most often made out of wood pulp, polyester or nylon polymers. There is no microfiber in nature – man makes it in a lab. The thickness of the single fiber is measured in deniers. The word microfiber has “micro” in it and for fabric to be considered micro-fiber the fibers used making it have to be less than 1 denier thick. For comparison, the finest silk fiber measures 1.3-1.4 deniers. Thread count of the sheets? The sheets do have a thread count but on its own it’s no indication of the quality of the sheet (like it would be in Egyptian cotton for example). The thickness (and quality) of a microfiber sheet is measured in GSM (grams per meter). Depending on how thin the fibers are the thread count may vary. Microfiber sheets feel very soft and silky. How they feel against skin is defined by thread count and the denier (thickness of a single thread) – higher thread count and lower number deniers feel softer and more comfortable. That’s the answer to how are microfiber sheets compared to others – softer and thinner. Are microfiber sheet cool for the summer? Microfiber sheet are definitely cool to sleep on in the summer. To choose the best option for hot summers go with finer denier (thinner fibers) and don’t go so high with the thread count. This will make a more breathable and cooler microfiber sheet. How to care for the sheets? Proper care of the sheets can not only extend the lifespan of the micro flannel, it will also make them softer and allow them to keep the properties that were probably the reason for getting them in the first place. Vinegar is your friend – use half a cup of vinegar when washing the sheets for the first time. This will allow the color to set in and minimize the color-bleeding over time. Fabric softeners are not a good idea – it might sound counter-intuitive but chemicals from the softeners will harden the sheets in the long run. The residue is another issue to be aware of – it can build up and increase pilling. Control the temperature of the water – You might see that the label says to use cold water. Most of the time, mildly warm water will be a good choice. But using hot water will shrink the sheets and increase the fading of the color. Either air dry or invest in a good washer/dryer combo – if you have the time, air-drying the sheets outside is advisable. For most of us that will require too much time. The next best thing is investing in a good washer/drier, one that will be gentle to the flannel, especially during the drying part. Dryer balls are good – the main reason for using drier balls is that they tend to reduce the pilling and clumping of the fabric. Are they warm/hot for the winters? Yes, microfiber sheets are warm enough to be use year-round. If you want the optimum choice for cold winter nights go with a higher thread count or a GSM (grams per meter). This makes the fabric denser and warmer. Yes, they are breathable. However, how breathable a particular set is, is determined by the thread count and the denier of the fabric. But, generally yes, microfiber does breathe. Do they make you sweat? Microfiber doesn’t make you sweat, it’s myth. The fibers used are thinner than the fibers of the finest silk. It’s actually one of the most breathable sheet fabrics out there. They are perfectly safe and adhere to the strictest American fabric standards. They have little to none off-gassing and the fact that the materisl is man-made makes no difference in terms of safety. No softer sheet material out there than microfiber and polar fleece. Remember, the fibers are thinner than the softest silk. The sheets pill much less than any other material with thicker fibers which makes it one of the sheet materials least prone to pilling. Our suggestions are listed above. What are deep pocket microfiber sheets? Deep pocket sheets is a term used to describe that the said sheet set is “deeper”, which especially goes for the corners and can accommodate thicker mattresses, even if you include a topper. 1800 or 1500 microfiber sheets – what does it mean? If you see a number like this is a specific product, and we did in the ones we talked about, it usually means that that’s the thread count. However, be careful and don’t confuse the thread count of an Egyptian cotton. With microfiber, the combination of the thread count and the denier determines the quality and thickness. Grams per meter (GSM) is a much better indicator of the sets quality. What is the difference between microfiber and cotton sheets – which is better? The material, that’s it. There’s no response to the question which is better. We wouldn’t go as far as to venture a guess (and it would be a guess) about whether microfiber is good for you or which of the two is better. The first one is man-made and has a very thin fiber which is very weak on its own but weaves very snuggly and makes for very durable sheets. And the higher price tag that always comes with cotton is also no indication of “quality”. Yes, cotton will probably breather better but that’s a blanket statement. If you look past that, the issue of quality comes down to the fibers and thread count. Low thread count will result in more pilling and poor quality sheets whatever material used. What is micro flannel and what’s the difference between microfiber and micro flannel sheets? There’s little difference between the two and the two terms can overlap. The most obvious one is that micro flannel feels like flannel while microfiber bedding may or may not. If we had to clearly define it, micro flannel is the best of both worlds – it has the “feel” of high-quality flannel and the durability of polyester. Micro flannel is usually made of polyester but feels exactly like regular flannel, which is made of wool or cotton. We were frankly confused when we started digging around which products to consider for the best micro flannel sheets – the choices were in fact very limited from the get-go, but we never truly realized how limited. Two products stood out – the Shavel (a name we knew from the past) and this new kid on the block called Thermee. We looked through the retail sites and realized a puzzling truth, it’s the same product (we have no doubt about that now) sold under two different names and for different prices. We’re not sure, what’s going on here and we don’t want to know if somebody is trying to rip off the established Shavel brand. We did inform them about it. You’re safe – the product we’ll be talking about and linking to is the one at the lower price, the original listing for the Shavel Micro Flannel Sheets. Our king of the hill in the category of best micro flannel sheets, and the only product worth mentioning really is the Shavel. There much to say about the micro flannel material and Shavel sheets as its main representative. If you are looking for balance between comfort, practically and value, SHAVEL micro flannel is probably THE SINGLE best option out there. It feels like soft cotton but embodies all the qualities of the man-made micro-flannel. Apart from the finest Egyptian cotton sheets (that cost about 10-15 times as much as this Shavel set) no set of sheets received a rating this high for the quality of the material. The single best rated set of sheets on the entire site in terms of durability. And yes, that includes the high end products. But if you have plans of escaping from the bedroom by tying the sheets together, you better hope that it’s Shavel micro flannel on that bed. Every bit as comfortable as regular flannel, it will be the choice of those who don’t like a flimsy feel of a sheet that’s too soft. There are sheet sets out there that feel softer and gentler against the skin than the Shavel micro flannel than but not as close as durable and if they are close in durability, they are few levels above the price range. Comfort isn’t the main forte of the Shavel flannel and it’s nothing spectacular, it’s similar to the comfort of a nice cotton flannel sheets. Shavel micro flannel is known to be very color fast (resistant to fading), especially when compared to natural fabric like cotton or wool. In terms of dye and excessive coloring, the Shavel is average, it took us 4 washing for the signs of color bleeding to stop appearing on the color catcher. At the time of completing this guide, the Shavel set cost about 3 times as much as some of the cheaper microfiber bedding sets sets we presented above. It’s rated better or the same than any of those sets in any quality category. On the other hand, it would probably outlast any of those sets many times over, which makes it a very good buy in terms of value – solid bang for your buck and 95% for Shavel. When shopping for sheets you can go two ways. You can splurge on a high-end Egyptian cotton sheet set or you can go with a budget solution that’s not as good and as durable but is within your price range. And the third way is Shavel Micro Flannel. This set hits the sweet spot between the durability, comfort and price. We won’t shy away from the fact that the Shavel micro flannel set is our favorite. The last fabric used for sheets we’ll look into today is the also the comfiest – it’s micro fleece also known as polar fleece. If bedding was food, micro fleece sheets would be American comfort food. The Microplush sheets come in a variety of sizes, including queen and king,. Micro fleece sheets are not a widely popular and will be the choice of the select few. Those who don’t like the feel of the micro fleece in their sheets say that its too soft and too warm. It’s also much more susceptible to pilling than other micro materials. On the other hand, the people who tried and like a set of micro fleece sheets never go back (we’re basing this on Norah’s experience). It’s extremely soft and plush and most people love the way it feel against the skin, but mainly as a thrower, not a full set. When comparing the micro materials we have to take into account a range of factors, like tendency to change shape over time, durability and longevity (which are two different things) and come to a rating. The micro fleece is similar in many of those aspects to simple microfiber bedding, except it’s more durable. In terms of durability and longevity, micro fleece (or polar fleece) sheets are somewhere between the regular microfiber and micro flannel. The material itself is not very likely to rip but because they are so soft they don’t hold stitches as well as flannel. The Cozy Microplush Sheets are best at holding a stitch and consequently, the most durable polar fleece sheets we’ve looked into. We think that it’s because of the case that the Microplush is the best fitted of the fleece sheet sets and minimal (no excess fabric). If you combine the stretchy polar fleece with sloppy stitching it’s not likely to last very long. When we rated the comfort of the Microplush and the other polar fleece sheets, we only took into account mano-a-mano comparison to other fleeces. Whether the material is comfortable is a personal thing, so we based our ratings on the satisfaction of people who own it and Norah’s interpretation. Similar to durability, in terms of both being colorfast and holding a dye, sheets made of polar fleece are somewhere between microfiber and micro flannel bedding. Better than microfiber and not as good as flannel, the Microplush sheets is rated at 85%. Sheets made from micro materials are inexpensive and are better bang for your buck than most natural materials, no matter the thread count. For the people who are looking to get a micro fleece set of sheets the value is not even a decision point, because the cost of all the sets available is very similar. But here, we compare it to the value provided by micro flannel sheets (the Shavel, to be more specific) and in those terms, the value is slightly lower – 85%. Still, these fleece sheets are a bargain. What is micro fleece in the first place? Micro fleece also known as polar fleece is a soft, plush synthetic material similar to wool used to make clothing and bedding. What’s micro fleece bedding made of? The material used for the micro or polar fleece bedding is initially made of polyester. The company that invented the plush material in 1979 didn’t patent it and, as a consequence, there’s thousands of companies manufacturing it today.